San Francisco, CA - July 24th , 2014 - Fiilex, a leader in LED lighting for the broadcast, film and photo industries, is proud to announce that the P180E was used in the filming of the historic Mission 31. The Fiilex P180E light was used in the Aquarius underwater habitat while Fabien Cousteau completed a record setting 31 days underwater. The goal of Mission 31 was to bring attention to the importance of the ocean to humanity, and the immense value in protecting this vital resource. Changing Tides Media was chosen to document this historic event, and they chose the Fiilex P180E to supply light in the extreme environment of the Aquarius lab. The P180E was used to film in the habitat, and was especially valuable in filming on the Wet Porch were the divers enter and exit the lab. This area presents a unique challenge as it has close to 100% humidity and zero electrical outlets. "I tend to work in very intense environments, areas with high humidity and little to no electrical power," says Matthew Ferraro of Changing Tides Media, "the week before we went underwater, we were in the Amazon, filming in remote villages. There was no electricity, it was 100° and about 90% humidity. There simply isn't any other light that we could use in these environments, but also there is also no other light that I would want to use. The lights work so well, I am able to just focus on telling the story." 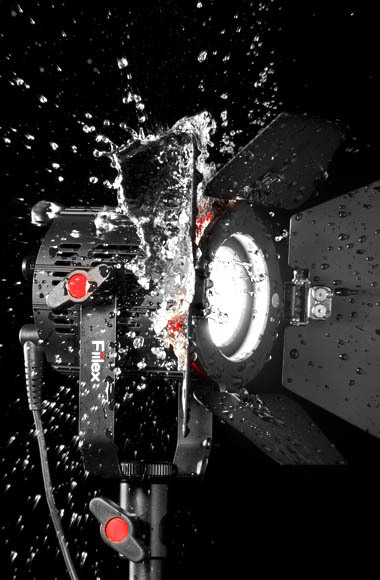 The P180E is a on/off camera LED light with a 200W tungsten equivalent output, and an actual draw of 40W. It is color temperature tunable from 3000-5600K, and can run of standard broadcast batteries. The P180E is a point light source with many available accessories to cut and shape the light.